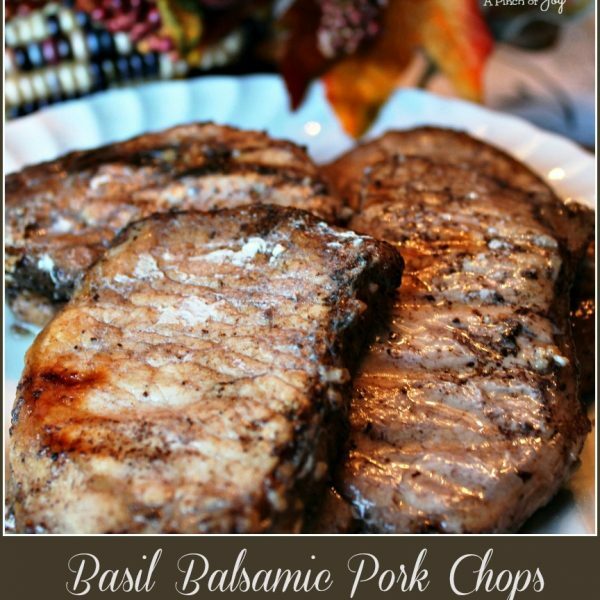 Basil Balsamic Pork Chops take less than five minutes to prepare and cook in about the same amount of time on each side. The marinating process takes 2-12 hours depending on your schedule and when you prepare it. But – the process requires absolutely no attention from the cook. Unless you want to flip the bag over once or twice. An absolutely wonderful dish with only 15 – 20 minutes of hands on time! Note that there are two ways to choose from for preparation. Use a grill or use a broiler, whichever you prefer. Me – I go for the countertop grill pretty much year round. Wonderful served with rice or potato prepared just about any way, a nice crunchy salad or a cooked colorful veggie. A good marinade enhances the flavor, moisture and tenderness of the meat. It will contain oil, acid and seasonings. The marinade cooks before the meat. A touch of sugar or honey helps the browning process, adding flavor and color. 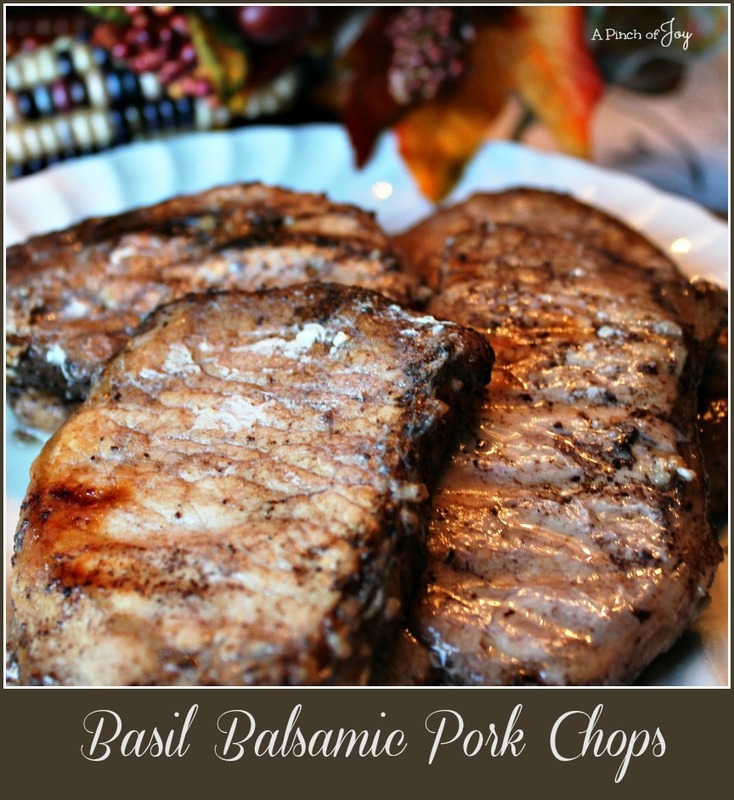 Spices and herbs enhance the flavor and create the wonderful aromas associated with grilling. Oil conducts heat to the surface, helping with browning and crust formation. Acids like vinegar and lemon break down the protein in the meat slightly producing a somewhat more tender meat. Moist marinades produce a little steam, preventing dryness. And there you have all the good reasons you need to spend the 5 minutes preparing a marinade. Combine all ingredients in gallon size freezer bag. Seal, pressing out air. Let set overnight or longer in refrigerator. OR prepare and let marinate in the refrigerator for 2-4 hours before grilling. GRILL on preheated grill, until meat reaches internal temperate of 160 degrees. OR BROIL, about 5” from broiler, turning often for about 15 minutes, until internal temperature reaches 160F. I’m so glad you stopped by today! Follow A Pinch of Joy using the icons at the top of the page so you don’t miss a thing! I’d love to have your company on this venture!! Share: if you found this helpful or inspiring! Your support of A Pinch of Joy is appreciated!